This is the most common remark after refractive surgery such as LASIK, and it’s true in more ways than one. 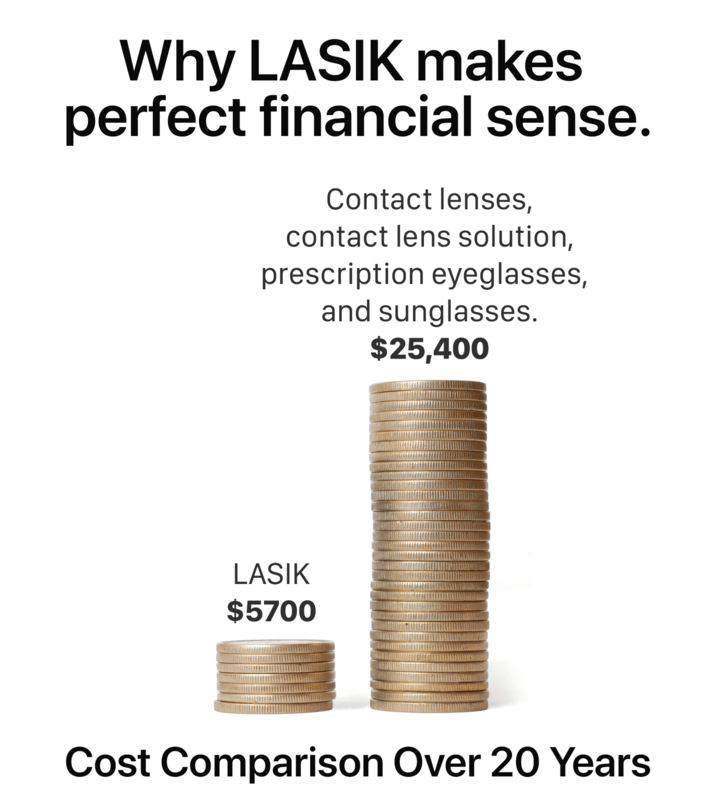 The one-time cost of refractive surgery is far less than the cumulative recurring expense of glasses or contact lenses, and you’re making an investment in yourself. You’ll immediately discover the significant improvement in the quality of your life when you’re free of glasses or contacts. Think of the value of waking up in the morning, seeing your alarm clock clearly and conquering the day without the continual need to search for your glasses. Picture the ability to go camping, swimming, skiing, hunting, on vacation, or to the gym without the fuss of contacts or glasses. The benefits are endless. The value offered by refractive surgery is much greater than the dollar amount invested. Utah Community Credit Union offers a variety of financing options by way of Lifestyle loans, including a convenient $99 payment plan, 48 month or 60 month financing. UCCU offers the lowest rates possible on every type of loan. And lower interest rates means more money stays in their members' pockets. We firmly believe in and promote price integrity, with equal cost for every patient and no upcharges. We invite you to contact Waite Vision today to learn more about your payment options, and to schedule a time to see our skilled ophthalmologist in Lehi, Utah.